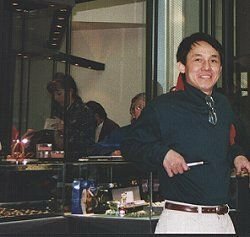 Art of Gold Jewelers is owned by Can Van Le, the mastermind behind all the unique and elegant jewelry. Jewelry design has been a lifelong passion for Can. Can Van Le was born in Vietnam to the owners of a jewelry store. He began designing and crafting jewelry in 1968 at the young age of 18. Can came to Denver in 1980 and immediately began working with jewelry again. With hard work, dedication, skill, and a little bit of luck, Can was able to achieve the American Dream. His store displays 14 showcases filled with his exclusive one-of-a-kind designs. On January 11, 2002, the Jewelers of America Inc. (JA) awarded Can Van Le the designation of JA Certified Master Bench Jeweler. He is one of two in Colorado and the 92nd person nationwide to have ever received this distinction - the fourth and highest level of the JA Bench Jeweler Certification Program. For Can, the word “art” takes on a broad meaning. Work and play are the same, and “art” is more than a lifestyle. It is a personal challenge that ensues each time he sets out to design a new piece of jewelry. “Art” greets Can Le every morning and follows him to sleep each night. "Jewelry is such an ideal medium to demonstrate the harmony between technology and art. I try to achieve a connection by blending the wearability and beauty of a stone for a practical yet fluid design. Behind each element is the quality of full attention to workmanship that I pour into each piece," -Can. 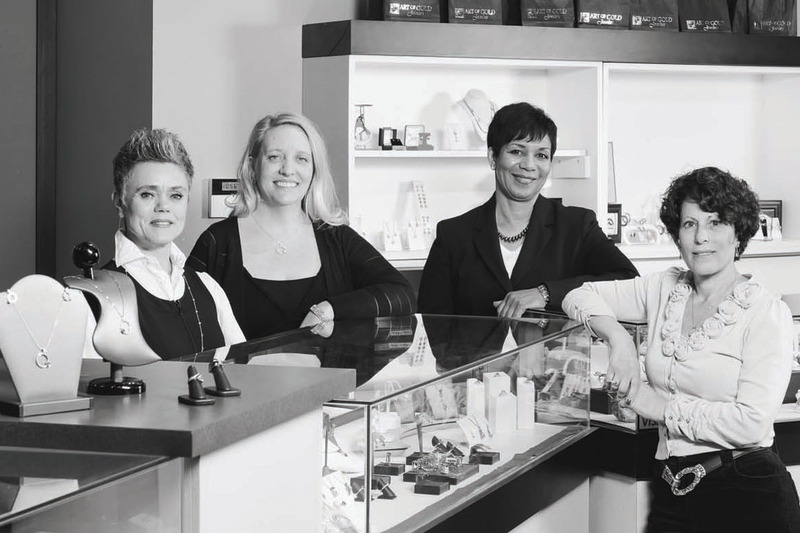 The Art of Gold Jewelers is a locally owned jewelry store in Denver, Colorado. We appreciate our customers and take the time to learn about you and what you need. Our professional team offers a friendly atmosphere with no pressure to buy because they are paid on salary, not commission. Copyright 2013-2017 Iron Summit Media Strategies, LLC. Code released under the Apache 2.0 license.